Maintaining accounts and planning the taxes needs perfection and lots of patience. Understanding the need of the day, DNS Accountants has been offering tax planning, consultation, and accountancy services to many start-ups, small companies, contractors and freelancers. Right from our very humble beginning way back in 2005 DNS Accountants have grown into one of the biggest consultancy firms in the country. 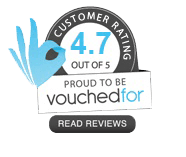 Our highly qualified and award winning Maidenhead accountants have been instrumental in the success of many businesses in the region. DNS Accountants have been extending its services as contractor accountants in Maidenhead and also in some of the nearby areas like Northampton, Luton, Liverpool, Redditch and Coventry. We are proud of our team of accountants who have been working with us for a long time now. All members are certified by the accounting bodies and have some prestigious certifications to their name including the ones from IPSE, ACCA, and CIMA. Apart from this, all the members hold degrees from reputed and well-accredited universities. Our timely services help you to manage your accounts and plan your taxes accordingly. DNS Accountants works with the sole purpose of saving client’s money at every possible opportunity. We make sure that you do not have to face fines and penalties that need to be paid when you err with your accounts and tax plans. Situated to the south of River Thames, Maidenhead is an affluent town and an unparished area in Berkshire. Being so, Maidenhead has an excellent railway line. The railway bridge that was erected way back in 1838 is very famous here. The development of rail line in the region paved the way for the opening of rail components manufacturing companies and railroad companies. Maidenhead is now the home to many of the famous mechanic and motor specialists and also the famous radio transistors production company, Hacker Radio Ltd. Apart from this, Maidenhead is also the favorite hangout place for most of the celebrities. 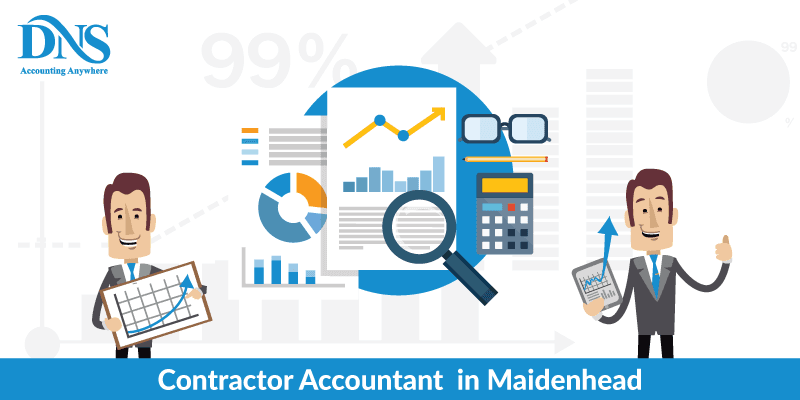 The popularity of the place and the rapidly developing businesses in and around the area has created a huge demand for contractor accountants in Maidenhead. The entertainment business is also looked up to in Maidenhead. Some of the recently developed companies that have been functioning well in the region include Hamptons International, Siemens IT Solutions, and Services, VistaBee and Informatica. DNS Accountants has a team of renowned tax accountants and tax advisors in Maidenhead to provide the best tax planning services for the client company. Plans are customized and are prepared according to the customer needs depending upon their line of business and all the related accounts to it. Backed by years of experience in tax planning, our online contractor accountants in Maidenhead help to minimize the liabilities for the client companies and also at the same time contributes to planning a proper tax return for the business. The tax return papers of both the individual and the company are done together in order to ensure a sync between the two. This synchronization helps to file the returns without any worries of being prosecuted or penalized. By factoring in the income and the expenses of the company, DNS has been able to provide an efficient tax plan for various businesses and entrepreneurs. As far as corporations and businesses are involved, having a sound corporate backing is highly significant. Our sincere small business accountants in Maidenhead offer consultation on planning corporate taxes and keeping track of the corporate finances. Our team’s technical prowess on the subject and also the years of experience has helped us to become the trusted advisors for several companies. The consultation that we offer to our clients enables us to be a proud partner of their success stories. We have been making sure that our services add value to the business that our customers deal with. Having been able to come up with tactful approaches to planning corporate taxes and in creating the timely reports for the companies, DNS has been able to become trusted advisors for the companies. Our team works along with start-ups, individuals, and enterprises to manage their liabilities, taxes, and finances in a very efficient manner. This Self Assessment tax return is the method by which the HM Revenue and Customs collects the income tax from the companies. In this system, the tax is collected directly from the pension, savings and the wages that a person gets. While filing the tax returns at the end of the financial year, the person has to include this amount in the tax plan. The tax being deducted from the individual’s account depends on the income tax band that he falls in. In order to provide an efficient report, the person has to mention all of his bank statements and reports that he has received. Based on the report that is presented to the HMRC, the income tax amount is calculated and directly deducted from the person’s account. HMRC can conduct an inquiry into any company that is filing the tax returns with them. They conduct investigations even with companies that might have already paid the taxes. These investigations do not stop even if the person’s bank statements, bills, and expenses records are all in order. Such repeated investigations prove to be disruptive to the business. A long-term investigation might result in the loss of several thousand pounds for the company. To avoid such issues, DNS provides the investigation cover for the companies. We stand with the company to cover their problems during the investigations on the individual and the personal finances. The support that we provide would give you complete peace of mind during the survey. Being able to provide business owners with such experienced business accountants in Maidenhead, DNS Accountants has been able to ensure that the individuals, as well as the start-ups and the established companies, have proper management over the finances. We do not limit our services to Maidenhead and have been helping out people from nearby regions like Northampton, Liverpool, Coventry, Luton, Slough, Bournemouth and Nottingham. Working with such diversified range of clients working in various domains has helped us in establishing ourselves in the world of finance. Getting the consultation from our highly qualified consultants would surely enhance the profitability of your companies.